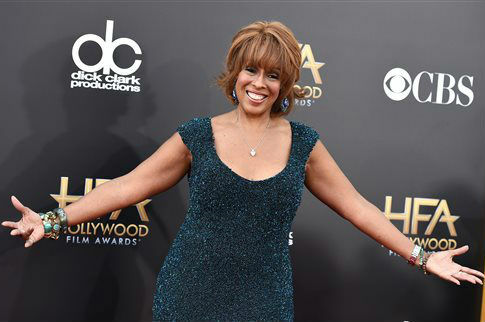 Veteran journalists at CBS are reportedly quite upset with network host Gayle King after she enjoyed a recent yacht vacation with Barack and Michelle Obama in Tahiti. King, co-host of "CBS This Morning," went on a star-studded vacation with the former president and first lady, Tom Hanks, Bruce Springsteen, and her best friend Oprah Winfrey on billionaire David Geffin's 138-meter luxury yacht, called the Rising Sun. A source told Page Six on Thursday that CBS journalists are "pissed and raving mad" at King for vacationing with the Obamas while she anchors a news program that covers the White House. "The ‘Capital J' journalists are pissed and raving mad that she was on a yacht with the Obamas over the weekend. The old-school people were talking about it. She shouldn't be doing that," the source said. "She's an anchor of a news program that covers the White House. You're held to a different standard." "It's one thing to be friendly. It's another thing to go vacationing on a yacht," the source added. In particular, veteran journalist Charlie Rose, King's co-anchor on "CBS This Morning," was unhappy with King galavanting with the former first couple in French Polynesia. "Charlie wasn't pleased. I thought he and Gayle got along, but when things like this happen, it makes the show look bad," the source told Page Six. CBS defended King in a statement and denied its journalists are upset with the network anchor. "There's no truth to any of that. We love Gayle King. Sounds like sour grapes," a network spokesperson said. King is an Obama donor who gave thousands of dollars to the former president's reelection campaign. This entry was posted in Culture and tagged Barack Obama, CBS, Charlie Rose, Michelle Obama, Oprah Winfrey. Bookmark the permalink.